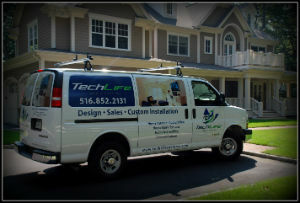 TechLife Media Systems is an electronic systems integration company that specializes in design, sales and installation of audio/video, home theater, music systems, automation and control, communications, lighting control systems, and motorized window treatments in residential and commercial environments. Incorporated in 2002, our certified staff has over 18 years of experience, education and knowledge. We are based in Huntington Station, New York, providing quality products, professional service and easy to use, reliable systems to clients across Long Island and the New York Metro area. Being full service means that TechLife Media Systems works with you every step of the way. We consult with you to assess your needs; we help you design a system that’s just right for you; we help you choose the best products from the top manufacturers; and we teach you how to use those products to their (and your) fullest advantage. training. We have taken and passed rigorous testing to become certified. We must also follow and adhere to strict codes of conduct, guidelines, and ethics. 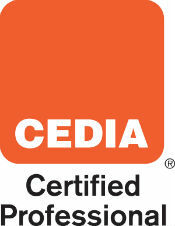 As CEDIA professionals we are the proven experts in the field and are committed to maintaining a higher standard of education to give you piece of mind when selecting the most qualified people to work in your home. TechLife Media Systems enhances the lifestyles of our clients by delivering easy to use, reliable home entertainment, audio/video, communication, automation, lighting control, and motorized window treatment technology systems to their home. TechLife Media Systems is a customer oriented, quality minded, and highly skilled team focused on designing, selling, installing, training, and servicing of these systems. We are dedicated to our clients by listening to their requirements, providing solutions that satisfy their needs, educating them and consistently exceeding their expectations. TechLife Media Systems is committed to fostering a work environment that is rewarding, challenging, educational and fun. TechLife is owned and operated by Robert Eng. Robert founded the company in March of 2002 after coming from an Information Technology project management career. Having a passion for home theater and a love for music he decided to merge these things with his technical background and created TechLife Media Systems. Robert furthered his education and technical training becoming certified by the global trade organization for his industry (CEDIA). He has completed and continues to participate in manufacturer trainings and many other industry related courses (Image Science Foundation, Home Acoustics Alliance, etc.). He authored several newsletter and trade articles and has hosted presentations for other residential and commercial trades to help educate them in his field. He has a passion and desire to ensure customer satisfaction and to exceed their expectations. Treating his clients the way he would want to be treated has helped TechLife obtain referral after referral and has become the basis of his growing business.